This article originally appeared on Adventure Journal. AJ environmental coverage made possible in part by support from Patagonia. In the northeast corner of Canada’s Yukon Territory lies a pristine area seven times the size of Yellowstone, but without a single permanent resident and only one gravel road. This land, the Peel Watershed, forms one of the last great wildernesses on earth. In late January, the Yukon provincial government announced it would open much of the region to mining exploration and development, ignoring the recommendations of a seven-year public land use commission. The announcement, in the form of the 2014 Peel Watershed Regional Land Use Plan, protects approximately 29 percent of the watershed, leaving the remainder open for mineral exploration, road building, development, and mining operations. By contrast, the 2011 Peel Planning Commission’s Final Recommended Plan, widely supported by First Nations and the Yukon public, urged the permanent protection of 80 percent of the watershed. This is a land defined by water: Six rivers, the Ogilvie, Blackstone, Hart, Wind, Bonnet Plume, and Snake, mix to form the Peel River on its journey to the Beaufort Sea. The watershed of the Peel straddles the Arctic Circle and drains the last jagged spurs of the Rocky Mountain System just before it veers west to become the Brooks Range. It is home to one of the very few remaining large, intact, predator-prey ecosystems in the world, with countless grizzlies, moose, Dall sheep, wolves, wolverines, and caribou. It includes the winter range of the Porcupine Caribou herd, whose calving grounds have caused such contention over the Alaska border in the Arctic National Wildlife Refuge. Not long after Yukon’s announcement, noted aboriginal rights lawyer Thomas Berger filed a legal action challenging the decision on behalf of two Yukon First Nations and two Yukon NGOs. The law Cracknell is referring to is the 1993 Umbrella Final Agreement, a treaty signed between Canada, the Council for Yukon Indians, and Yukon, settling First Nations land claims and stipulating that future land use planning must include and satisfy all parties. The government’s plan violates the treaty, say the plaintiffs, in addition to making a mockery of the planning process and the rights of Yukon First Nations. MAGIC IN THE LANDSCAPE The first time I saw the Peel Watershed was from a de Havilland Otter, circling in to land at the headwaters of a remote river in the Selwyn Range. I was 22 and had graduated from college the week before. I didn’t know exactly what I wanted to do, but like many I felt drawn north. Somehow, I ended up accepting a spot on a training course for an outdoor school. We paddled north through canyon and braid, watching barren peaks wheel around and fade upstream. We crossed the Arctic Circle on the summer solstice and had a party on a cobble bar, surrounded by wind. In all that time, we saw no one else. In time, we reached the Peel and the first road and people in three weeks and hundreds of kilometers. It is the only place on earth I have ever felt magic in the landscape. For years after, I came back to the Yukon, seeking after that ideal of spruce, rock, and turquoise water. It corrupted me, probably forever. The Peel isn’t just easy on the eyes. It’s also a major climate refugium, providing relative protection to flora and fauna during episodes of rapid climate change. During the Last Glacial Maximum, it formed part of Beringia, an ice-free habitat – and highway – for countless species, including, perhaps, the human migration to North America. With most of the fastest-warming areas on the planet clustered in high latitudes, it will probably serve this function again, making its preservation all the more important. 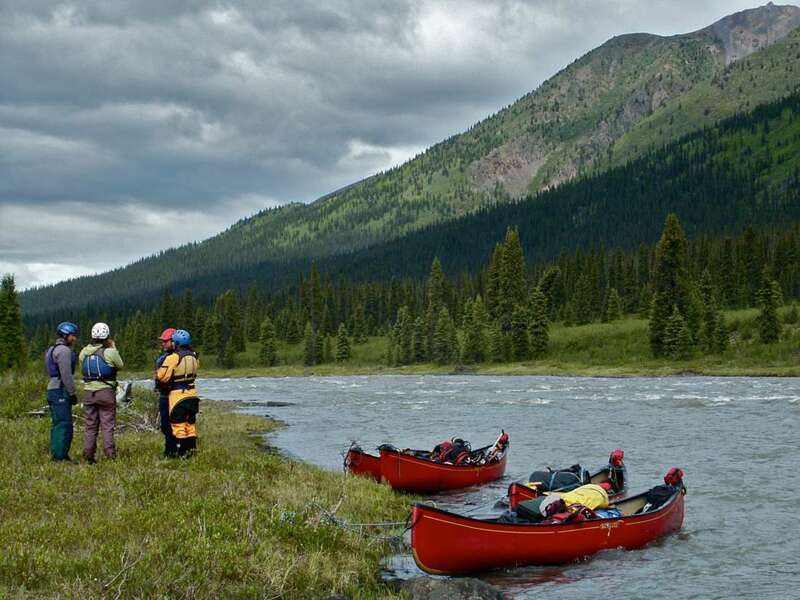 Appeals to tourism, Yukon’s only real non-extractive industry (the government is the largest employer), are more effective: There are countless examples around the world where extractive industries have fizzled, while tourism provides stable dollars into the future. The nascent sustainable tourism industry in Yukon would be hard hit by development in the Peel. A DONE DEAL? The Yukon government has made clear that as of January 22, the Peel is open for development. “Potentially, right now, there are exploration companies busting a move within that area, finding where they can stake, and staking like crazy,” says Slipp. The weight of public opinion is still against the government plan, and in favor a high level of protection, but without continued support the legal challenge might fail. According to Cracknell and CPAWS Yukon, public input is still vital. She says you can follow along at CPAWS Yukon and on Twitter with #protectpeel. You can also donate to the legal fund here and sign the petition hosted by Avaaz here.